In an exciting four quarters of lacrosse, the Lions added one more “W” to their record this season (9-2), but this one was special as they topped previously Southern CIF top-ranked Palos Verdes on their home field, 8-7. 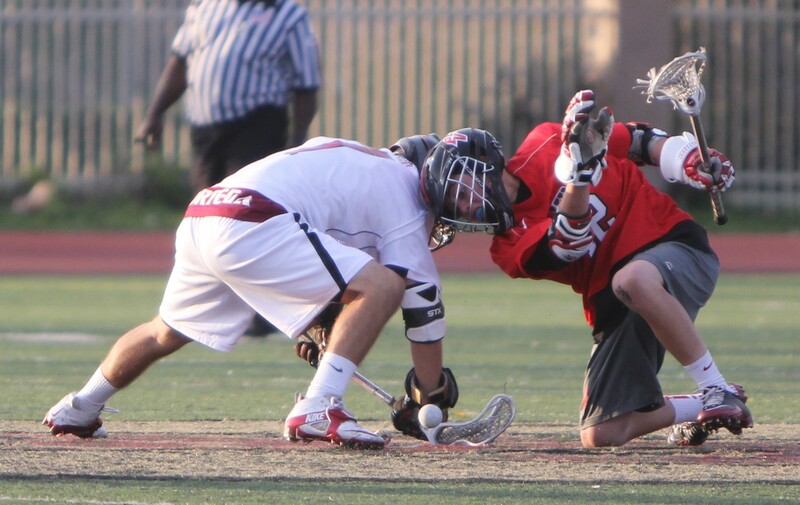 JSerra decided to play only one game over the spring break and Coach Harrison’s decision paid off. The young Lions squad was given a few days off to relax and enjoy their break. Palos Verdes was the Los Angeles County Champions last year and they started this season where they left off last season. They entered the game with an undefeated record of 9-0, outscoring their opponents by an average of 8 goals per game. The Lions came out of the box with junior midfielder Brenden Lynch (2 goals, 1 assist), scoring in the first two minutes of the game answered by the Sea Kings senior Team Captain Augie O’Hern (1g, 1a). The rest of the first half was a true battle going into half time tied 4-4. Lions senior midfielder Cole Schleppy (1g), sophomore midfielder Jake Schleppy (2g) and freshman attack Anthony DeMaio (2g, 1a) all putting one in the net. For more on the boys lacrosse team visit them on Facebook.